We highly recommend the restaurants featured below. They range from fine French dining to casual hideouts featuring live Cajun music and dancing. Favorites of locals for years, we're sure you'll love them, too! We've included quotes from many who have enjoyed their experiences. The following restaurants combine casual dining with white tablecloth elegance -- casual dress allowed. Café Amelie focuses on Louisiana style of cooking, tantalizing signature cocktails and much more, all set in one the most beautiful French Quarter courtyard. Established in 1840, Antoine’s is one of New Orleans oldest restaurants where fine dining is a taken to a whole new level delectable treat with masterpieces like the rich, creamy Oysters Rockefeller. The restaurant has been passed down through generations of the same family. Bonus: each of the 14 dining rooms has a unique theme with its own history. 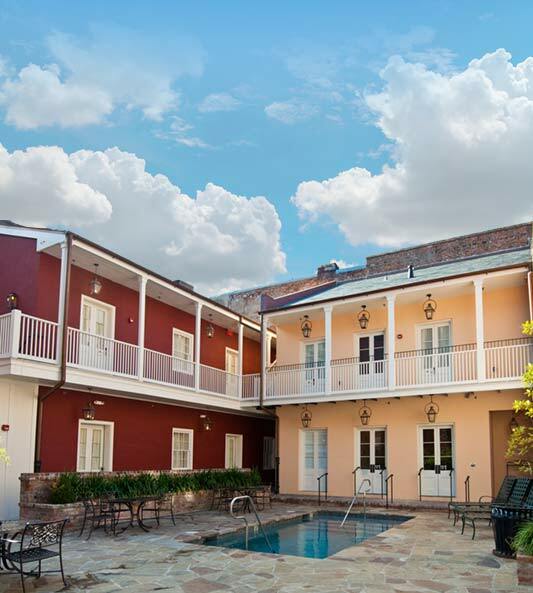 Located in the heart of the French Quarter is the picturesque Court of Two Sisters. Stop by for their delicious Jazz Brunch buffet in their lush courtyard or make reservations for their award winning four-course dinner. Either way, it’s a world class French Quarter dining experience. Stop by The Pelican Club and enjoy a wide variety of amazing New Orleans style entrees, all while enjoying the incredible atmosphere and décor. It's a true New Orleans experience tucked away on the Exchange Place. Tujague's is loaded with history. It's New Orleans' second oldest restaurant and renovated in 1982 to bring it back to its original look and style. Tujague's is known for their traditional Creole menu and superior service. Pull up a seat at the table inside or outside, Café Beignet serves up breakfast all day long with their coffee and beignets a local favorite. If you're looking for something a little more filling, they are known for their New Orleans Cajun specialties and fried seafood. Gumbo Shop is a literally can’t miss experience—they've been awarded Best Gumbo in the Best of New Orleans poll since 1999. The establishment offers an assortment of gumbos along with Creole cuisine, including po-boys. Enjoy a manicured courtyard while you dine or sit inside with tall ceilings and beautifully painted walls. If you're looking for authentic Cajun cuisine in a relaxed atmosphere, Daisy Dukes is the perfect place for you. They’re open 24-hours a day and offer free refills on coffee and Bloody Mary’s. Plus, oysters on the half shell are just $6! 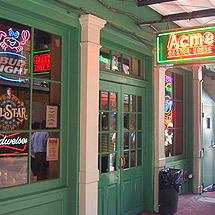 Acme Oyster House is a must visit restaurant in the heart of the French Quarter. Their oysters and seafood are favorites of both locals and visitors to the city. Make sure to save room for their fresh, hand-shucked Louisiana oysters. 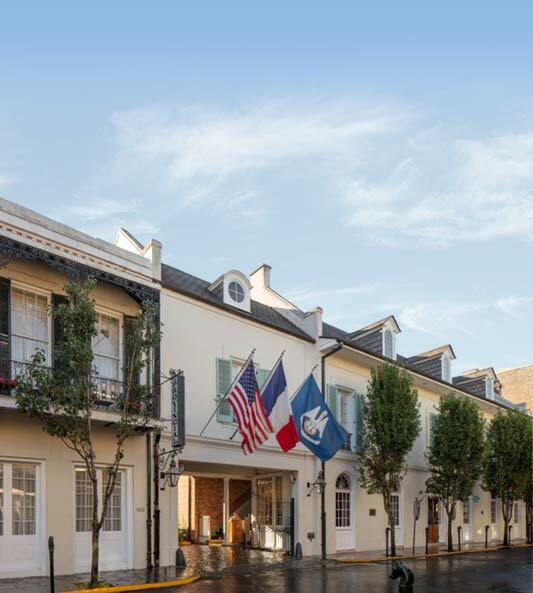 The French Market Restaurant & Bar has been serving world class seafood and refreshing ice-cold drinks since twelve years before Andrew Jackson won the Battle of New Orleans. 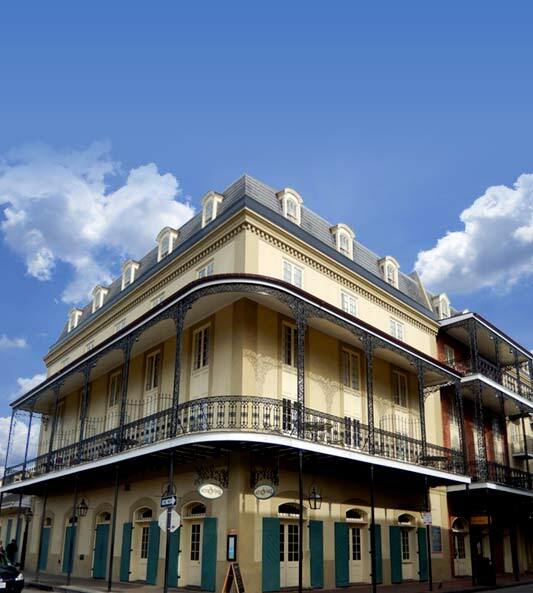 Their historic ambiance, combined with their delicious food makes it a must visit in the French Quarter. Like great beer and delicious food? Check out the only microbrewery in the French Quarter where they brew up their own food, amazing entrees and serve live jazz every night. A combination of local ingredients with a unique flair make some of the best Cajun cuisine in New Orleans at Coterie NOLA. You're going to want to try their shrimp po-boys, jambalaya, fried seafood or their delicious muffulettas.